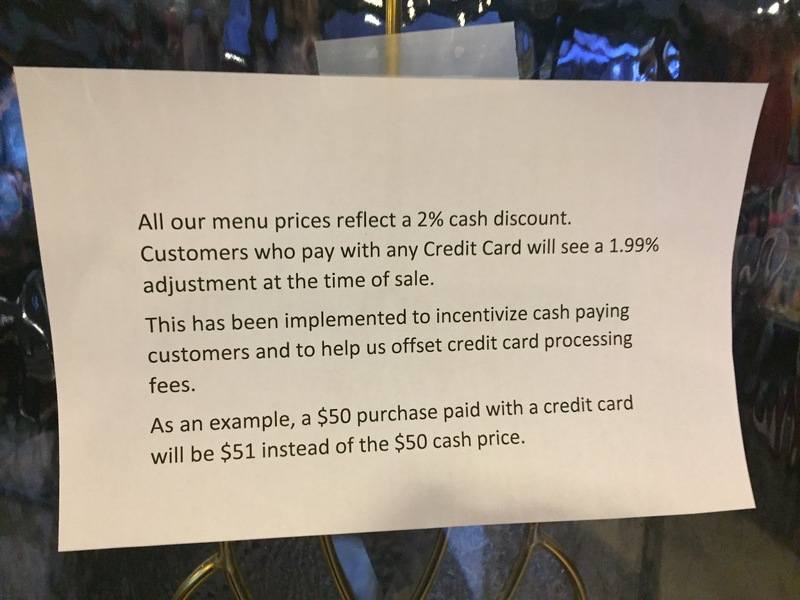 For visitors to the Red Blazer in Concord, there has been a recent change that you should be aware of and effects the way you pay for your meals. Be prepared to pay more to use a credit card. We understand this new policy was put into effect last week. The reason given was to help offset processing charges to the restaurant and to give cash customers an incentive. Credit card customers will now pay an extra 1.99% to be adjusted at the end. Our take is one of annoyance for regular customers to the Red Blazer for a long time. The world is becoming a cashless society so no, cash is no longer king. Customers are looking for easier and faster ways to pay for what can be large dining out bills. That is why the use of credit cards including services such as Apple Pay are becoming more common. Driving to a cash machine and taking out a bundle of money is not our idea of making this easier. Why should patrons be slapped with a penalty for using a credit card that is more convenient for them? We would expect this more from a small mom and pop business that is hanging on every dollar. Not the Red Blazer, a successful restaurant. 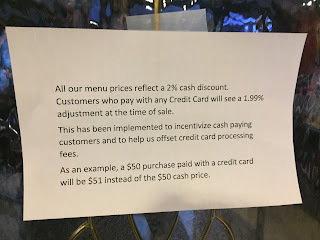 The use of credit cards by their customers is a burden that they should bear and is a cost of doing business in the market in which the restaurant serves.